It’s quickly become clear that there are two general reactions people have when they find out I’m having a child. These reactions come from all walks of life and no matter who the person is, their response almost always fits in one of two buckets. The Happy Folks – these are the people that are generally happy and excited for us. They say things such as, “It’s going to be the most amazing thing you’ve ever experience.” and “You’re going to experience a level of love you never thought possible.” These people leave you feeling happy and excited about what’s to come. 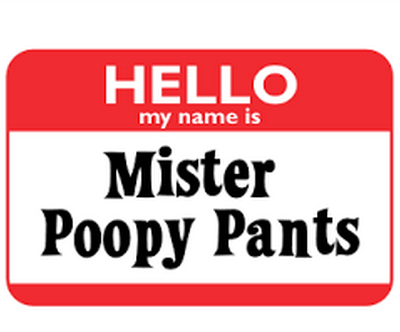 Poopy Pants People (PPP) – ah, the PPP’s. These fine folks instantly want to tell you how miserable it’s going to be when you become a parent. They, almost instantly and without fail, let out their best evil laugh and say uplifting things such as, “You better get ready to change diapers (insert evil grin).” and “You might as well go ahead and get sleep now, because you won’t get any once the baby is born.” They say a variety of other things that generally remind you that an exhausting road is still to come. After a recent encounter with a PPP, I did what most logical people would do. I fired up Facebook and wrote an A+ quality status update. Read it below. Once I committed to this Timeline memory I clicked post and wondered if I’d opened the door for more comments from PPP’s. I couldn’t have been more wrong. Almost instantly comments such as “don’t listen to them! Kids are awesome and make life so much better!” started coming in. It was if I had just founded the Facebook Parent Support Group. It was rad. In a new parent kind of way. My friend Ty posted a photo of he and his little girl where he’d apparently been dressed up as a pirate. Sure, his little girl may have had some diaper explosions over the years, but the smile on her face as she had her photo taken with the pirate (her dad) was beautiful. She looked like the happiest kid on the block. On the flip side, Alayna explained why she thought people become PPP’s. I totally get what she’s saying, but what I’m not buying is that the PPP’s have Realdar (Realistic Radar) and, within a moments notice, determine if people need to be reminded about poop and a lack of sleep. No matter if I encounter The Happy Folks or the Poopy Pants People, Liz said one thing that I think will ring true. And, well, because it was almost said word for word on a recent episode of Black’ish. From where I currently stand, if it takes lack of sleep and lots of diaper changes to prompt the smile that Ty’s little girl had on her face… then I say bring it on!